I generally avoid cooking salmon at home, because pan-frying it can result in a fishy smelling mess in my kitchen. Broiling, poaching, or grilling is my solution. These kabobs from Good Housekeeping are perfect for grilling or broiling, without the clean-up. Combine the brown sugar, smoked paprika, chili powder, salt, black pepper, and cayenne pepper in a medium-sized bowl. 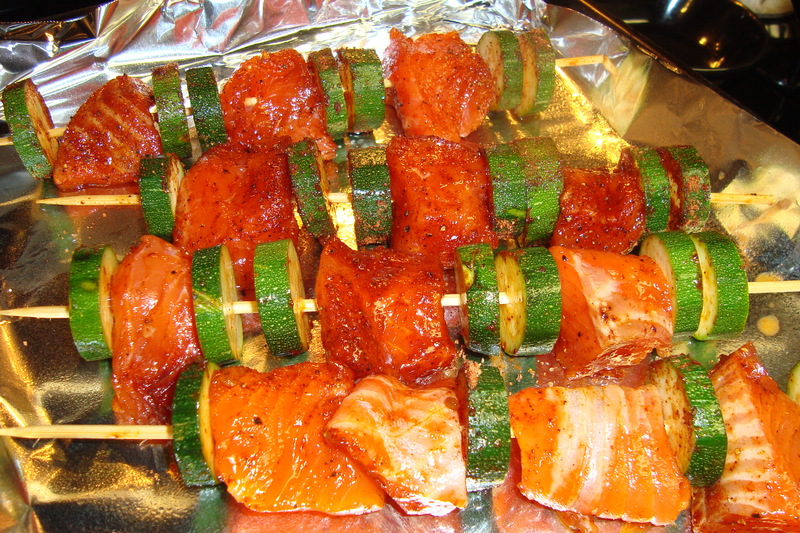 Toss the salmon and the zucchini in the dry rub. Spray a baking sheet with non-stick spray. 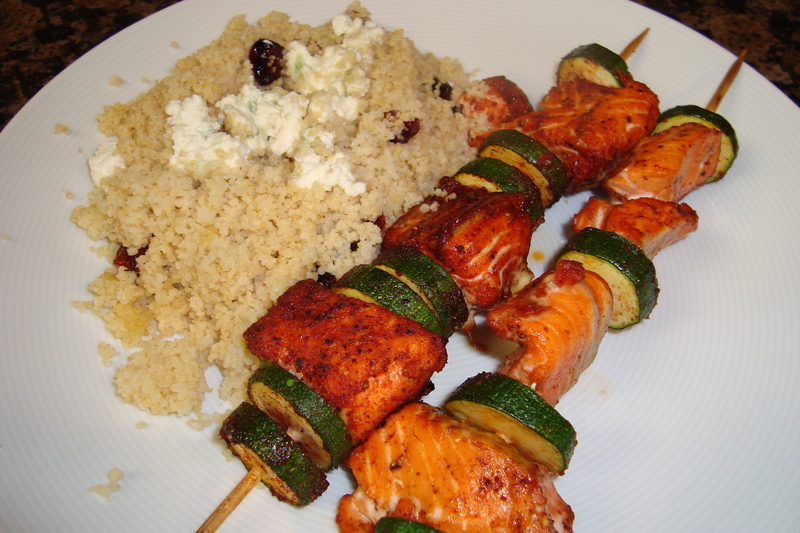 Skewer the salmon and zucchini in an alternating fashion. Broil on high for 12 minutes, turning halfway through the cooking process. When the salmon breaks apart into flakes, it’s cooked.